Hi [INSERT YOUR FRIEND'S NAME HERE], Please check this out https://www.proactivehealthcare.co.uk/biocidin-liquid-30ml?referrer=0 and get £4 off your first order (minimum order £30 excl. shipping). Thanks! Biocidin is a synergistic combination of botanical medicines which targets the entire GI tract and supports microbiome balance for healthy digestion and elimination. The botanicals also have systemic applications in microbial challenges wherever they occur. 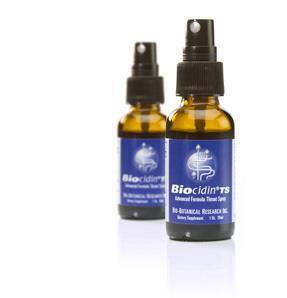 Independent laboratory testing has concluded that Biocidin has broad reaching effects, including addressing biofilms. We advise that customers should consult a qualified healthcare practitioners as to the use and suitability of Biocidin liquid. Customer should always carefully check all the details printed on the bottle before opening the product. If this is your first purchase of this product from us please provide your practitioner's name who recommended this product to you. Ingredients: Bilberry extract (25% anthocyanosides), Noni, Milk Thistle, Echinacea (purpurea & angustifolia), Goldenseal, Shiitake, White Willow (bark), Garlic, Grapeseed extract (min. 90% polyphenols), Black Walnut (hull and leaf), Raspberry, Fumitory, Gentian, Tea Tree oil, Galbanum oil, Lavender oil (plant & flower), Oregano oil (plant & flower). "... Now when I see a client report with elevated markers for mold exposure, I recommend Biocidin and G.I. Detox. I have seen that they are very effective and affordable. I am a huge fan! "Im a family Nurse Practitioner and have been using Biocidin in my practice for the last 10 years, and find it to be well tolerated and very effective. Before and after stool test results tell me that its working. Thank you for creating such great products!